Each Hindenberg 120-H timepiece is perfect for dressing up in your finest evening wear as well as relaxing during the day. 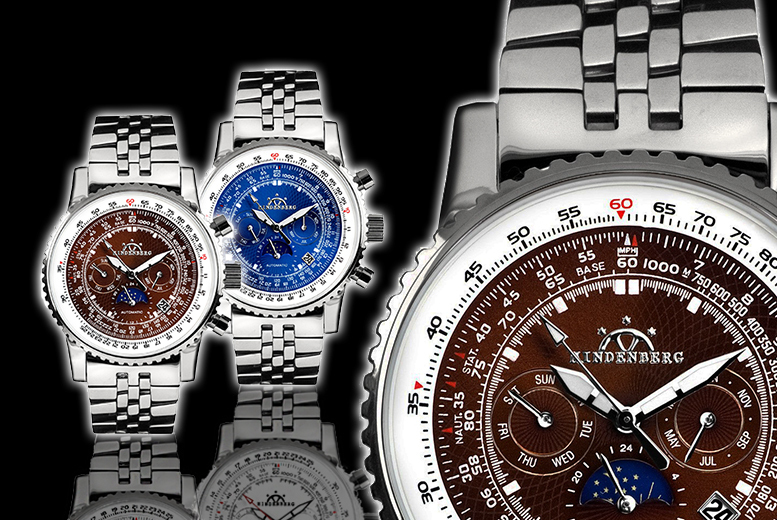 With four ultra-stylish designs (see below), each Hindenberg Air Fighter watch boasts a strong scratch-resistant sapphire glass front, automatic movement and is water-resistant to a depth of up to 50 metres. 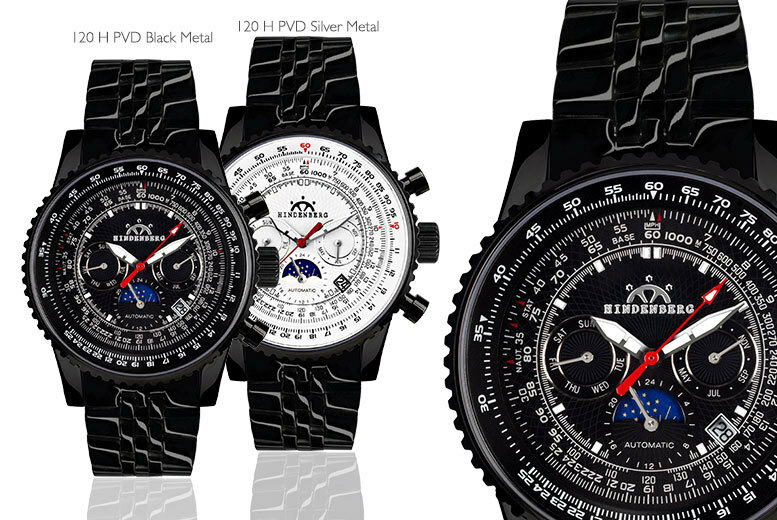 Get a Hindenberg 120-H Air Fighter PVD watch. Choose from four stylish designs! 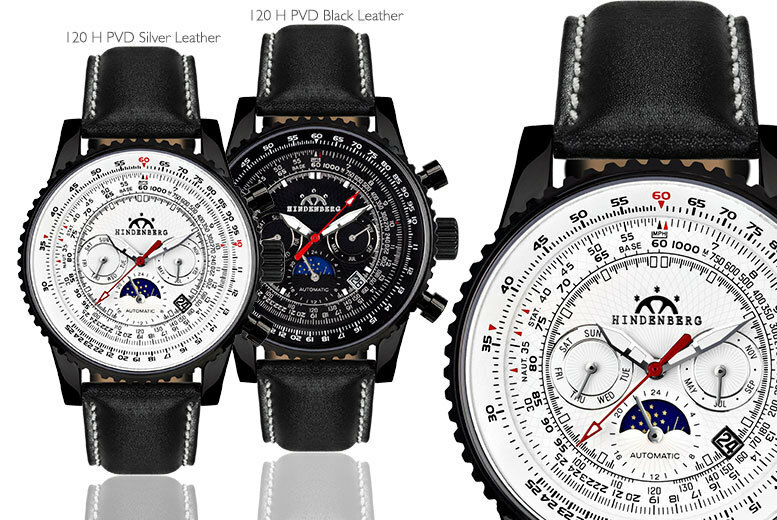 Valid in either silver or black colours with either a leather ot metal strap. Boasting a timeless and classic detailing with automatic movement. Scratch-resistant sapphire glass and water-resistant up to 50m. 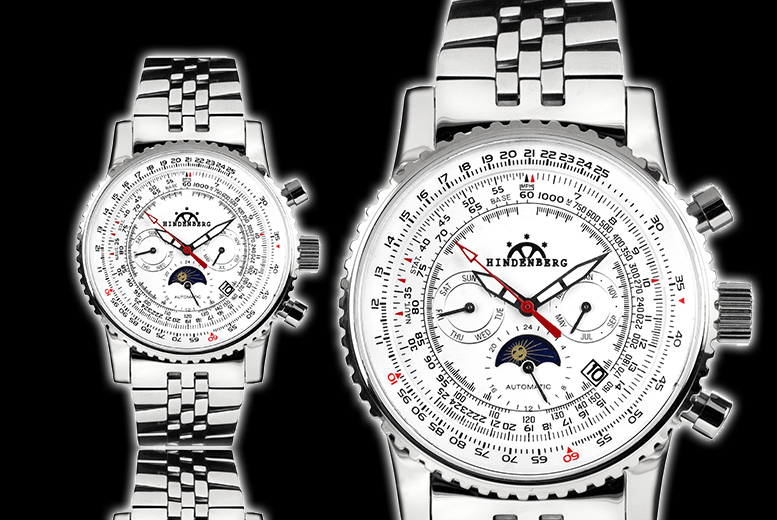 The perfect sophisticated timepiece for any suave gentleman.